Vital for WordPress is intimately interconnected with your business needs. Developed specifically for the health, beauty & wellness industry. 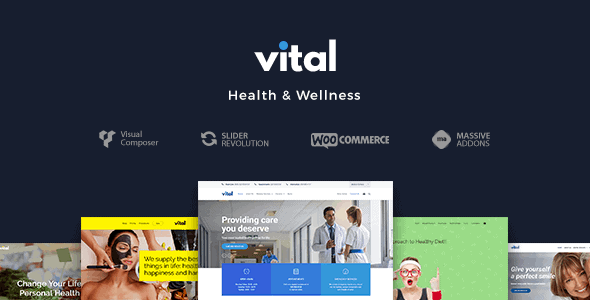 Right from the outset you will notice that Vital for WordPress differentiates itself from the competition with compelling, complete conceptual demos for a wide range of wellness, health and beauty websites. Not just homepages, but complete multi page websites. Full templates with everything you need to create the website you have been dreaming of.